Westport Ireland in County Mayo along the Wild Atlantic Way is an easy weekend break from Dublin. How long does it take to get to Westport from Dublin? You can take the train from Dublin to Westport in about 3 hours (tickets start as low as 10 EUR each way with advance purchase). Westport is an ideal summertime destination with gorgeous scenery, trails, and festivals (e.g., The Westport Folk and Bluegrass Festival). We took the train from Dublin to Westport on a Saturday morning and returned from Westport to Dublin on Monday morning at 5 am. 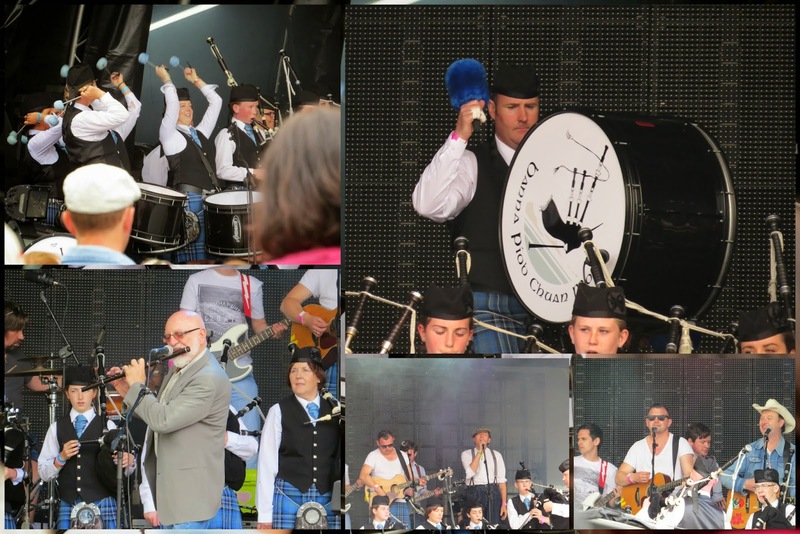 We timed our Spring trip for Saturday June 28 - Monday June 30th to coincide with the Westport Festival of Music and Food. 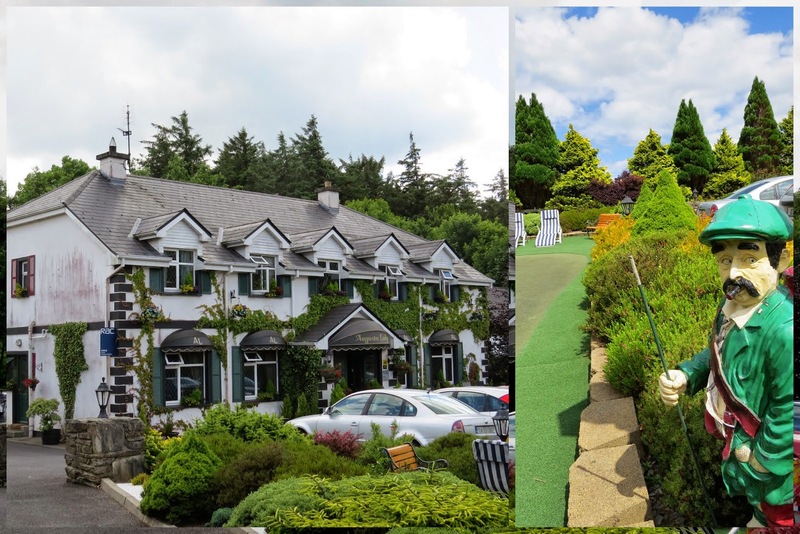 Here are some ideas for how to spend an ideal weekend in Westport Ireland. The Octagon is the heart of Westport and all roads seem to lead to and from it. 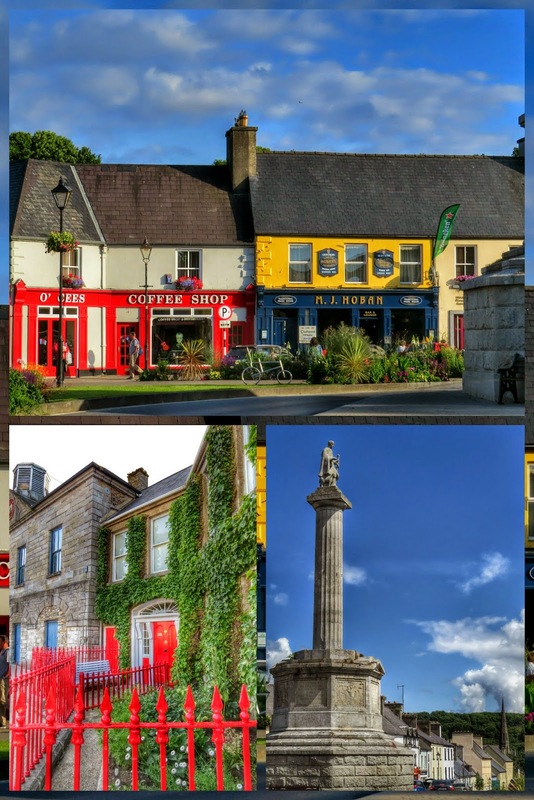 Colorful pubs and homes line Westport's Octagon and it's a great point of reference for exploring the town or to grab a pint. Christy's Harvest is a quaint coffee shop just off the Octagon in Westport. 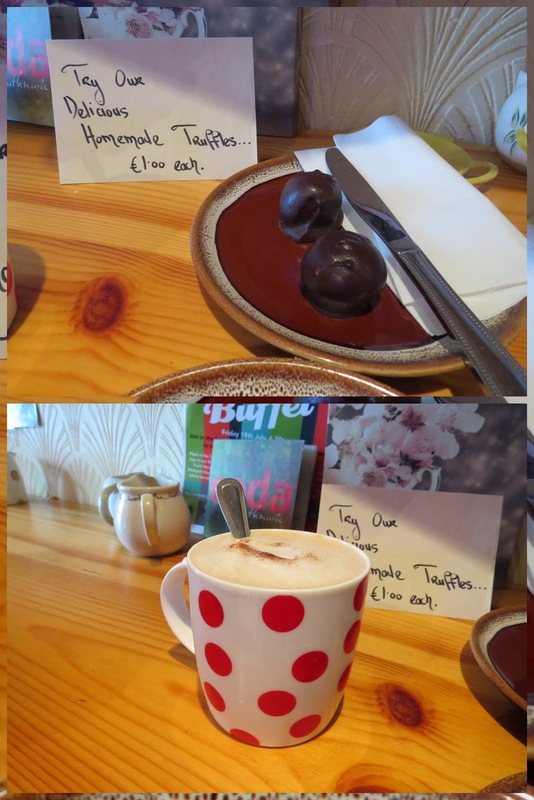 We were drawn in for a cuppa which was served in colorful patterned mugs. Christy's Harvest is tiny but cozy. We managed to wedge into two stools along the wall. We couldn't resist trying Christy's homemade truffles. Amazing. Christy's is also nice for a bit of a chat. The owner seems a bit gruff at first but when you start talking, he warms right up. The cafe is family run with yer man's grandson helping out on the weekends. We got to chatting about computer science programs and I even was able to offer a bit of career advice for the lad which was appreciated. One thing that we noticed about Westport that seemed a bit unusual (in a good way!) was the tendency for bands to set-up outside the pub rather than in a dark corner. We spotted this great trad session in front of a pub on the Octagon. Great stuff. We were spoiled for choice of Bed and Breakfasts in Westport. We booked in at the Augusta Lodge which was just up the hill outside of Westport town (walkable to the town centre in about 15 minutes). Clearly the owner was a golf fan based on (a) the name (b) the inside decor and (c) the putting green on the lawn out front. We even gave it a go when we came back from a rest before dinner. The scenery in Westport is spectacular especially when the sun is shining as it was during our weekend visit. A key feature of the landscape is Croagh Patrick. 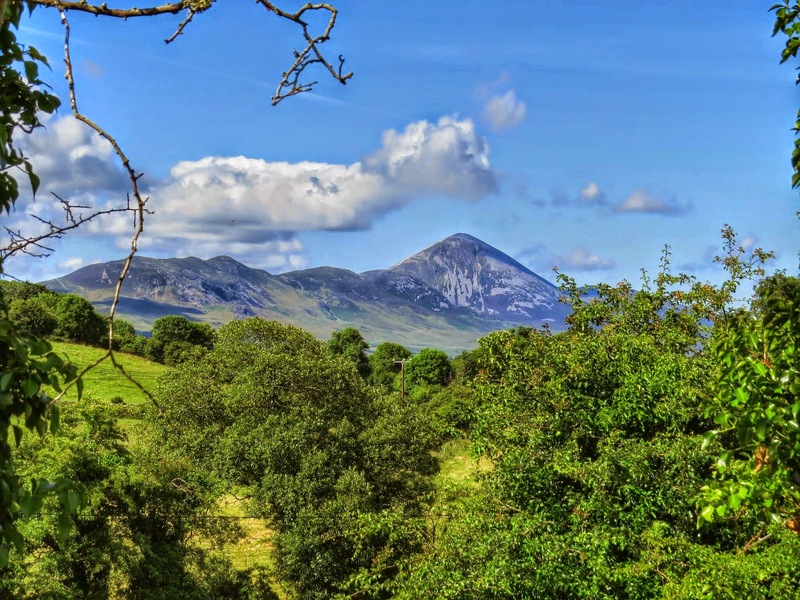 This mountain has been a popular pilgrimage spot for centuries, first for pagans celebrating the summer solstice and now for Christians as St. Patrick reportedly fasted for 40 days atop this County Mayo mountain in the 5th century. Be on the lookout for Croagh Patrick as you're exploring Westport. Ponies and Donkeys on the Great Western Greenway! 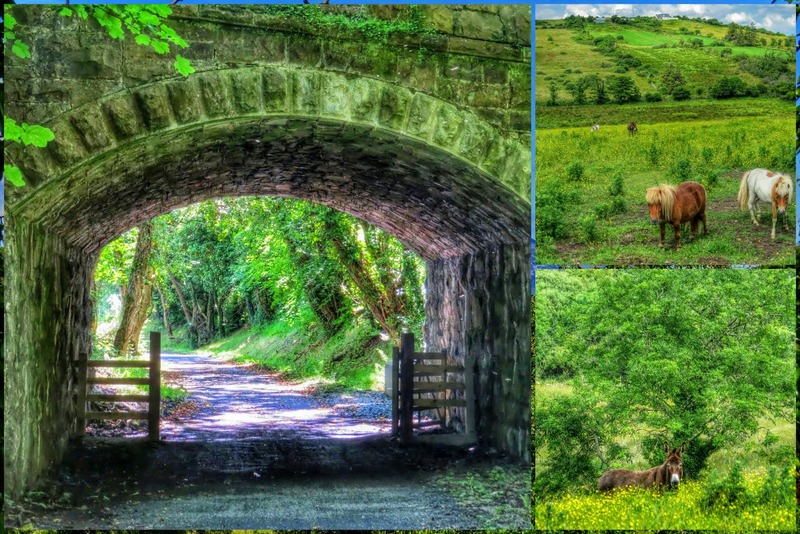 Following the route of a former railway in County Mayo, the Great Western Greenway was an enchanting diversion. We entered the Greenway above Westport town and walked for about 30 minutes across amazing rolling farmland. My favorite part about the Great Western Greenway? We crested a hill and I spotted a donkey lazing about in a field of yellow flowers. I also made a few new friends in these ponies! They struck a picture perfect pose and then came over to the gate for a scratch behind the ears. 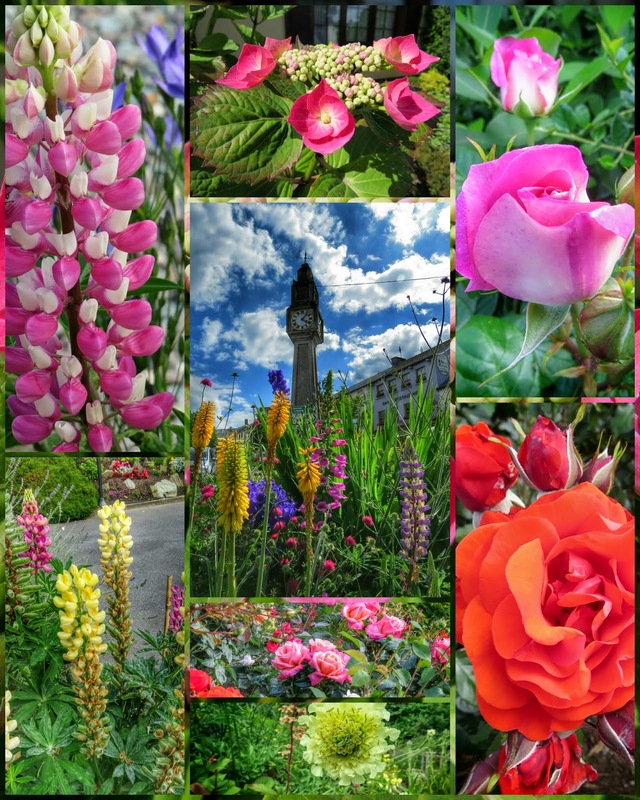 When we were in Westport for the weekend at the end of June, the whole town and surrounding countryside seemed to be in bloom and it's one of the things I remember fondly about our trip to the West of Ireland. Westport Quay is about a 20 minute walk from the center of Westport town. It's faster if you take the shortcut through Westport Park House. We didn't have that option though as Westport Park House was taken over for the Westport Festival of Music and Food (more on that later!). 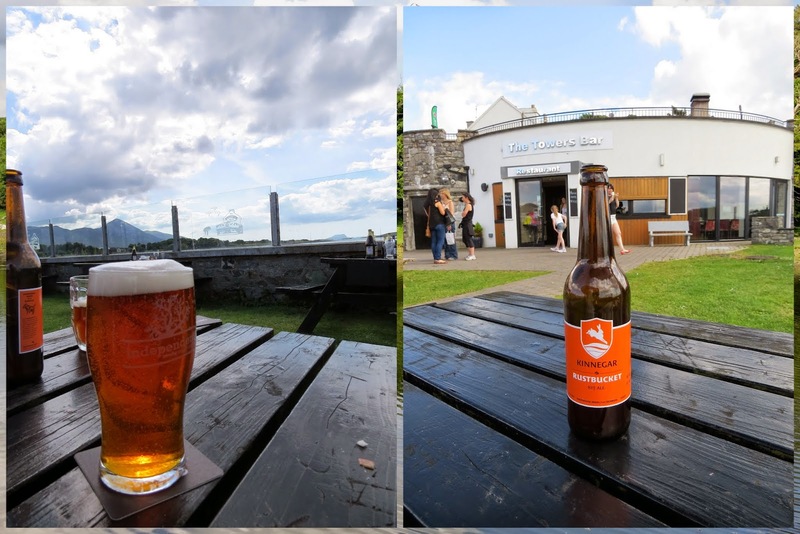 We walked out to the Quay and then quenched the thirst we'd worked up on the way with Irish craft brews at The Towers Bar from The Independent Brewing Company of Ireland and Kinnegar. They have a lovely 'beer garden' with views overlooking the bay and Croagh Patrick. I'm an opportunistic bird watcher. I don't have the patience to stake out a place and wait for hours to see an elusive species but I will definitely try to capture that perfect shot when birds present themselves. 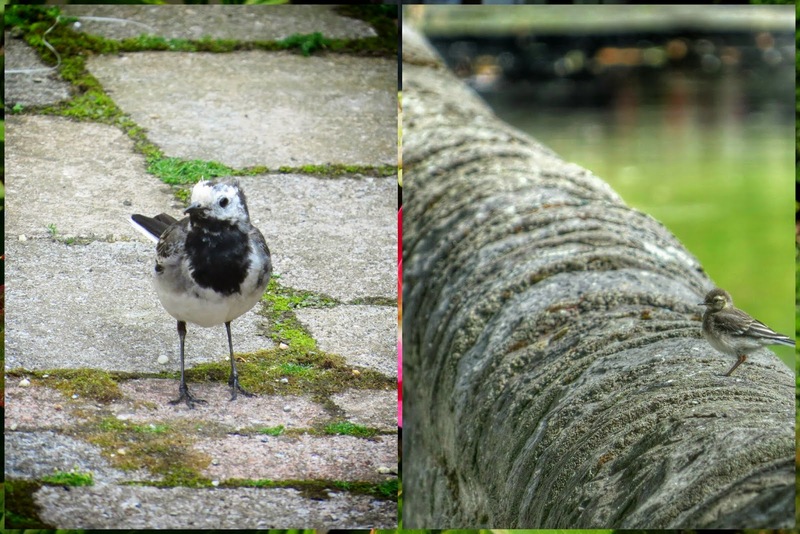 We saw a few different species in Westport including the Pied Wagtail. This is a tricky little fellow that is often flitting about so capturing the photo was the biggest challenge. It was worth the effort though as these guys are striking. In Westport, it's impossible to forget that you're just a stone's throw from rural Ireland. 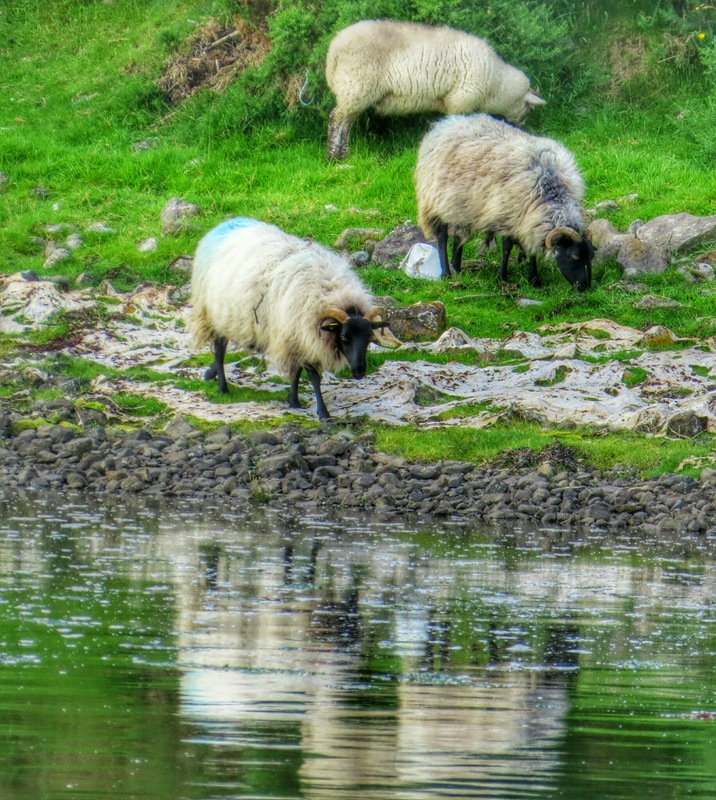 We spotted these sheep lapping up a bit of water near Westport Quay. I love zero'ing in on the little details when I visit a new place. I noticed this sign in Westport town when we visited for the weekend. Apparently, the local taxi service also doubles as the undertaker. I guess both are part time jobs in a town of this size (Westport has about 5000 residents with a population that balloons with tourists over the summer). The annual Westport Festival of Music and Food provided the perfect excuse to make the rail journey from Dublin to Westport. 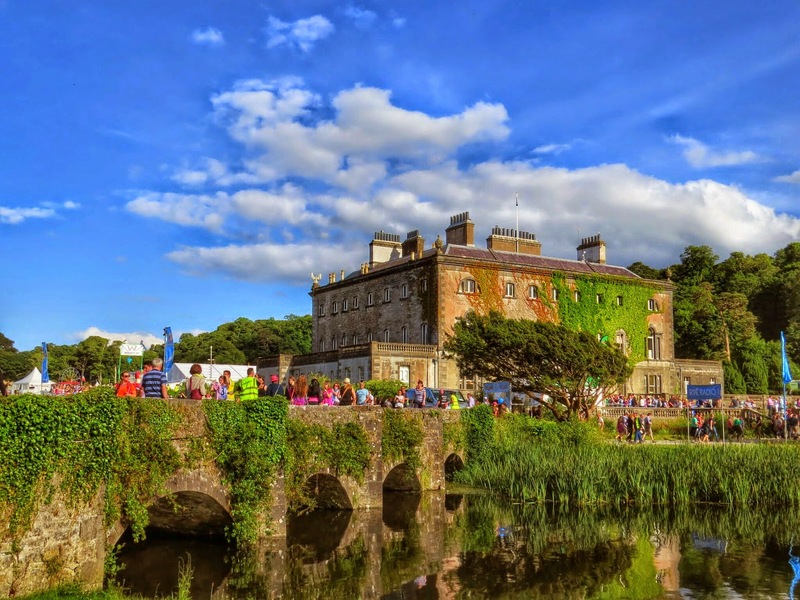 We spent one day exploring the town and its surroundings and one day soaking up the sun and listening to some high end gigs on the lawn outside Westport Park House. I thought I'd share some highlights of the festival specifically. Westport House featured a variety of summer fun activities. My favorite were these swan boats. It looks idyllic to go for a paddle on the lake. We'll save this one for next time as music was the sole item on the agenda for today! We had many moments throughout the day when we thought: I remember that song! Sinead O'Connor belted out a memorable performance. Bryan Adams was headlining the festival. He was solid but was definitely outplayed by my favorite band of the day, Kool and the Gang! Front Row Seats for Kool and the Gang! 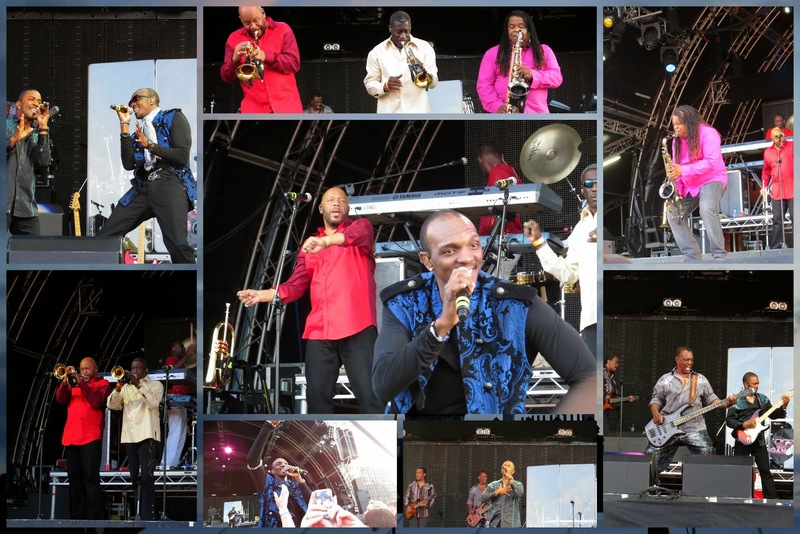 Kool and the Gang was the band that tipped the balance in favor of making the journey by train to Westport for the festival. They have so many memorable songs including Get Down on It, Jungle Boogie, and Celebrate to name just a few. We sat on our picnic blanket for most of the day but as soon as Sinead O'Connor finished, we made a bee-line for the front row for Kool and the Gang. They played all their hits. The lead singer even came down into the audience at one point and I almost managed to get in on the action and get a hand on his monstrously large trumpet bearing belt buckle. He was just out of my reach! Is Westport Worth the Trip from Dublin? Take the train from Dublin to Westport Ireland to explore County Mayo. 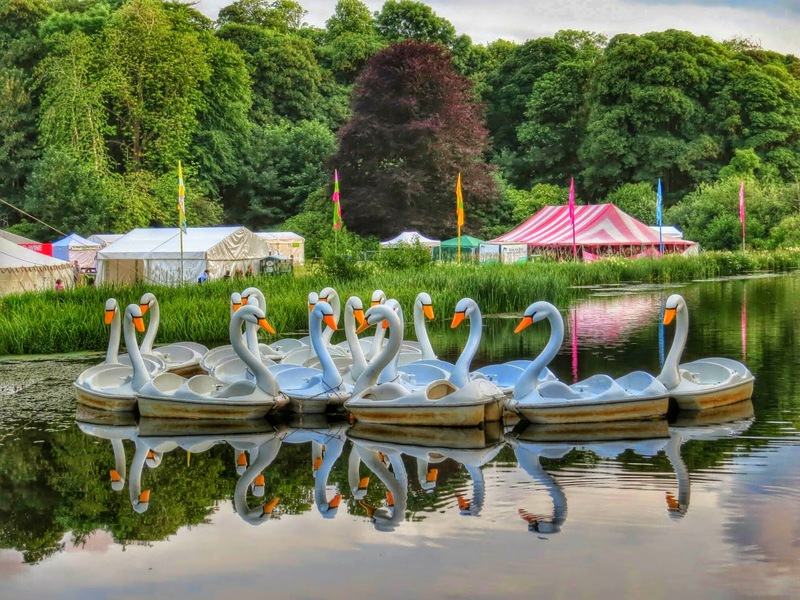 Enjoy Westport pubs, Westport festivals, and the grounds of Westport House on a weekend break.